Rock City expert Tim Hollis leads a tour through the origins of the site’s most fascinating spots, including Fairyland Caverns, See Seven States and Lover’s Leap. 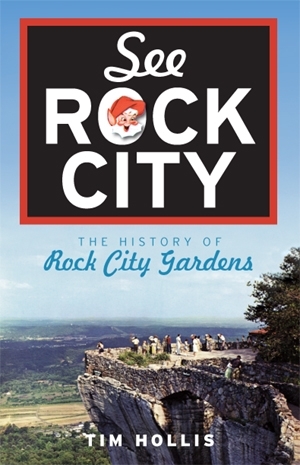 He also reveals the story behind the world-famous “See Rock City” marketing campaign, as well as the steep challenges the landmark has faced in an often volatile tourism industry. Perhaps the only aspect of Rock City more enchanting than its physical beauty is the fairytale story that surrounds it.